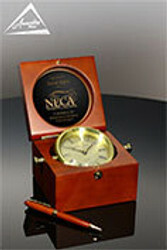 We know there are a lot of companies that sell awards, plaques and trophies in the US. In fact, the last time we looked there were over 20,000 companies that you “could” choose from when you need awards and gifts for your organization. Corporate Focus: Our business focus is on companies, medical and academic institutions, associations, and government entities. We understand the complex timelines, budgets, design needs, packaging, shipping, and coordination requirements that clients in these industries need. Unlike many award and trophy companies, we don’t focus on retail items like bridal shower gifts, father of the year awards or middle school volleyball trophies. 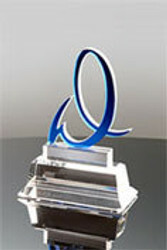 In-house Manufacturing: We design and manufacture our awards in-house. 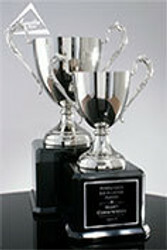 We’re not a retail store, and we’re not a reseller, which is what most award and trophy companies really are. We don’t subcontract this work to other companies. 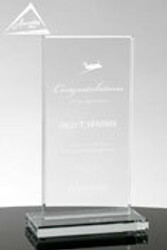 Semi-custom and Custom Awards: Unlike many award and trophy shops, over 60% of our business is semi-custom and custom award design and manufacture. Special sizes, unique shapes, special colors, full color, or something totally and unique to your organization…we do this every day of every week. Quality: We purchase quality materials for our components and focus on the best design methodologies. We follow lean manufacturing processes and procedures on our production floor. Our staff is experienced and knowledgeable in all areas of procurement, operations, design, sales, customer service and administration. Quality is job # 1 for us. 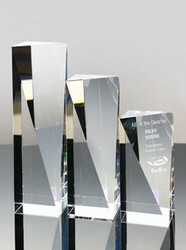 Expertise: For over 20 years, we’ve manufactured corporate awards. 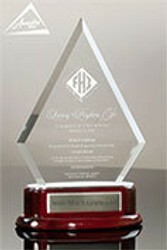 We don’t sell promo items, or sports team trophies, or party supplies like many award and trophy companies. 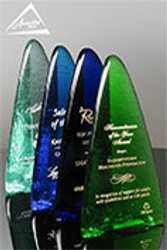 From design to fulfillment, we can help you create an awards program that will motivate and inspire your staff. Capacity: As one of the largest manufacturers in the US, we can handle small and extremely large orders, unique requirements and special orders. Multiple production lines, warehousing, and a skilled and cross-trained production staff gives us the flexibility to react quickly and efficiently to all volume requirements. 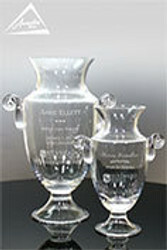 Fulfillment and Shipping: Smaller award and trophy shops primarily handle local walk-in business. Do your products need to ship international, to multiple locations, or a convention center? 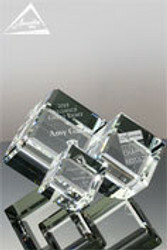 Do you need a letter or certificate added to each gift box or need each award shipped to the recipient’s home? We handle these kinds of requirements (and more) every day for our clients. 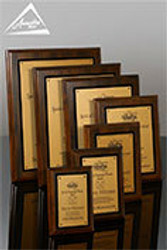 VIP Programs: With a large manufacturing facility and warehousing operation, we can manufacture, warehouse, pull, and ship customer awards and recognition items quickly to create on-demand programs for weekly and monthly requirements. Company Stores: For organizations that want or need an online store that allows their employees to purchase awards for their teams, volunteers, or sponsors as needed. 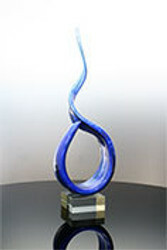 We create online portals with approved awards, logos and any other specific requirements unique to your organization. Satisfaction Guarantee: We stand behind our work and our word. Whatever it takes. To us, this isn’t lip-service…it’s the only way we know how to do business.